My friend nominated me for a makeover at our local mall, I made this star window card to give to Ulta and Coldwater Creek. I modeled clothes from Coldwater Creek and the girls at Ulta made me beautiful!! I found this card base in Don Juan and sized it to 7.92w x 5.00h. I also found the star from Don Juan and sized it to 2.33w x 4.18h and welded it inside the cut out (window). I copied it so I could make two cards at once. I cut out the card base in kraft brown cardstock. I copied the star on Layer 2 and copied it 4 times. I scored the card in half with my Martha Stewart Score Board. I adhered the yellow star on the front of the card. Here is the gal who did my makeup at Ulta! Here is the gal making my hair big at Ulta! Here is the after shot on stage at our mall during the Friday Night Concert break. I am wearing the white sweater! I was so nervous!! Here is the finished card again. I tied some twine on the front and stamped the star with "Thank You" from Joyslife.com's All Around Sentiments. I am linking this up to Sheila's blog for her card challenge!! I put together this quick layout for Tanner's first week of school. I found the paper pad at Michaels ~ Me and My Big Ideas Off to School. I trimmed down the paper on the right side with all of the words on it and adhered it to the same paper I used on the left side. The green around the edges ties the two papers together. This photo was taken at the school. The smaller photo is of the children lined up with their teachers. I used a couple of stickers to help ground my pictures. His teacher sent home a note on this apple, and I added a leaf. I punched out a heart from a thesaurus and cut it in half. I ran it through my cuttlebug with my dots embossing folder. I crinkled it a bit, trimmed it to mimic the shape of the apple leaf, and inked it green. Here is the coordinating page. The black tape with letters is from 7 Gypsies. Tanner is loving school!! I hope your school-aged children are loving school too!! 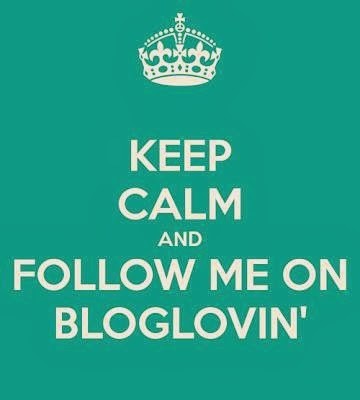 2 Blog Hops, 2 Winners!!! I apologize for the delay! Life (and work) sometimes get in my way of crafting and blogging!!! 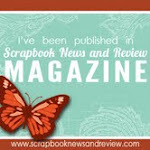 My Bucket List Blog Hop winner is Linda from lindascreativity.blogspot.com! My Interactive Card Hop is Sheila from shesasassylady.blogspot.com ~ a friend of mine!!!! Hi there, Lori from ScrappinMyStressAway here with my Summer Vacation project. I created a smash book! We take the same vacation every summer to the Ozarks in Missouri. My two brothers and their families go too. We went to this same resort when we were kids. We take down food, towels, ping pong balls, tennis raquets, pool toys and a bunch of other things. I am a list maker, so this book helped with the planning of our trip. I also used it to sketch and write down all of my scrappy ideas while we were there, as well as journal what we did each day. I started with a $1 journal from Michaels and some of my favorite supplies. Most of these are scraps! I cut out a title for my Smash Book from Nursery Rhyme at 1 inch out of purple cardstock. I used my Gypsy to line up my letters so they were right side justified. I saved the negative piece and used it as a template for my letters. I used my 1" Xyron to adhere the letters to my cover. Note to self ~ next time use Mod Podge over the letters to prevent them from sliding around! I also added some twine and (later) a butterfly charm. The cover was pretty so I did not want to alter it anymore. I printed out this tag from my Imagine along with a few other pieces. I adhered it to this tag and then adhered the pocket to the inside cover. For the first inside page, I cut this 8x8 decorative page in half and adhered each half to the outer edge of the page. I had some of these Tim Holtz dies cut out already and finally found a purpose for one of them! I also added a flower I cut out from a Tim Holtz/Sizzix die. Sometimes at a crop, I will cut out things for future use even if I have no idea what I will use them for! Here was another piece of 8x8 paper that I liked, so I cut it down for 3 pages. On the left page, I wrote down my grocery list. In this envelope pocket I put my coupons that I would use. I have been having fun trying to be an extreme couponer lately!! On this page, I use a couple cuts from Straight From the Nest. Here is where I sketched an idea for an upcoming Disney Hop. We took a helicoptor tour over the lake. I rode a segway for the first time ever!!! Here is a link to the post about my Segway Layout if you are interested. Tubing with my niece! All three things I would not have done before losing 77 lbs! I had a blast on vacation this year!!! I hope you had a great summer vacation too! Here is one last shot of my Smash Book! This was a fun and inexpensive project as I used mostly scraps and extra pieces!! Hi there and welcome to the Interactive Card Hop!! You should have arrived from Ashley's Blog! If not, be sure to go to the BEGINNING so you don't miss anything! I am a scrapbooker most of the time, so I took one of the easy cards!!! I made this card for my husband for our 19th anniversary next month. I don't know about you, but I can't wait to see these cards!! I had a little help with the design thanks to Splitcoast Stampers (LOVE THEM)!! Click HERE for a link to Splitcoast Stampers Easel Card Instructions. If you want to see my very first Easel Card, you can go HERE! I started out with a 4x4 square on Layer2 because that is the size of the card face that I wanted to fill up. I closed the "eye" on Layer2 so it would not show in this photo and confuse anyone (especially me)!! Next, I went back to Layer1 and added this bride and groom from Wild Card sized at 2.36w x 7.48h on my Gypsy. I copied a second couple. I found the rings on Designer's Calendar sized at 1.50w x .72h. I found the numbers on Base Camp and sized them to .61inches. I welded the numbers and rings and rotated them 90 degrees. I welded the numbers and rings first, then rotated them to see if they fit my 4x4 square. I sized them to fit the space. Here is the years welded to the rings. After I cut out the bride and grooms, I realized that if I layered the black paper groom on top of the white one it would look better to see the white shirt through. So I copied the couple on another layer and used the Hide Contour button to hide two inner cuts on the groom's chest/stomach area. I cut off the bride in black. If you want to get more detailed, you can cut out an additional bride in the color of your hair (mine would be yellow) and then layer that on. I ran my groom and the dates/rings through my 1" Xyron. I always try to remember to rub the images to cut down on glue buggers (extra balls of adhesive). Here are the bride and groom. Next, I score my 4 1/4 x 8 1/2 piece of cardstock at 4 1/4 and 6 3/8 and fold with the bone folder. I used a piece of paper from this awesome 8x8 paper pad by DCWV. I put a strip of paper on the bottom of the card and added some diamonds (sticky back crystals) to the ring. I used pop dots for my bride and groom. I added a little silver ribbon, some mini paper flowers (found in the $1 bin at Michaels) and some silver and pearl flowers from my stash. I cut some pieces of a pearl border and added some crystals for fun. The big pearl acts as a stopper for the card. Here is a side view. We are laid back people (he he). Here is my anniversary card for my wonderful husband Mike who lets me craft just about any time I want to!! No blog hop is complete without a little candy along the way!!! All you need to do to qualify is #1 be or become a follower or email subscriber, #2 share a favorite anniversary (of any kind) memory or gift you gave or receive. 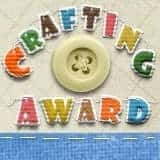 Thank you for your kind words ~ they keep me crafting!!! Your next stop on this hop is HERE!! Back to School Blog Hop Winner!!! Disney Pixar Blog Hop the 3rd!! Helping out a friend of a friend!!! How Neat Is That Hop Winner!! !